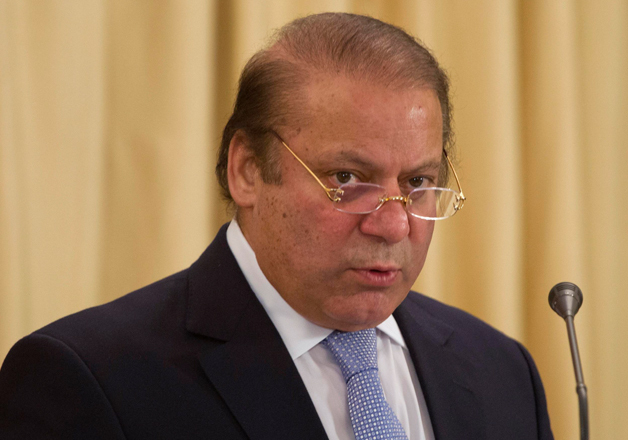 Pakistan Prime Minister Nawaz Sharif has ordered the law enforcement agencies to eliminate terrorists with ‘full force’ as the death toll continue to mount in an Islamic State suicide bombing at a revered Sufi shrine in the Sindh province. "It is time for us to unite and fight against the internal and external terrorists," he said after chairing a security meeting in Sehwan, where he was given a detailed briefing on the current security situation and relief activities. During the meeting, Sharif directed the country's armed forces and law enforcement agencies (LEAs) to eliminate terrorists across the country with ‘full force’, Radio Pakistan reported. According to initial investigations, at least eight kilogrammes of explosives were used to carry out the attack. Senior Counter-terrorism department (CTD) official Raja Umar Khattab dismissed reports that the suicide bomber was a female. Earlier, Deputy Inspector-General (DIG) Hyderabad Khadim Hussain Rind that the suicide blast occurred at the main gate of the shrine by the burqa-clad bomber. Following the attack, Pakistan security forces killed at least 100 militants in a nationwide crackdown. The ISIS and the Taliban have frequently targeted Sufi shrines across Pakistan. More than 25 shrines across the country have been attacked since 2005, according to reports. On November 13 last year, an ISIS suicide bomber killed 52 people and wounded 100 others at popular Shah Noorani shrine near Hub in Balochistan's Lasbella district. In July 2010, two suicide bombers blew themselves up at the Sufi shrine of Data Ganj Baksh Hajveri in Lahore, killing over 50 people. A suicide attack on the shrine of Sufi saint Abdullah Shah Ghazi in Karachi killed nine people in October 2010. An attack on Baba Farid Shakarganj's shrine in Pakpattan in October that year left another seven people dead.